To facilitate the transition of foreigners invited to live and work in the Lithuanian capital, a new digital tool, Relocation Guide», was launched. Developed by «Go Vilnius», the official Business Development And Tourism Agency of the city, the management provides all the necessary information for a successful and smooth move to Vilnius in accordance with the individual situation of each person. 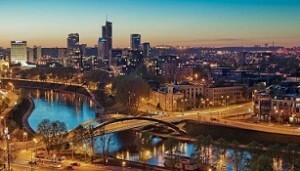 The relocation guide explains in a simple and convenient way every step of a new resident in Vilnius, and it can also be useful for those who simply think about moving to Lithuania to understand what they may face. Here you can find basic information, e.g. advice on finding work and preparing the necessary documents, renting houses, sports clubs or kindergartens, and consider joining the associations or organizations dealing in Vilnius. There are many ways to move to Vilnius, and the manual presents more than 60 variations adapted for different people depending on their plans, citizenship, family and even whether they intend to move to Vilnius with a pet. The guide is now available on the «Go Vilnius» website. “Talent” from abroad, working in different sectors, has already become an integral part of the daily life of the capital and such residents are treated as fellow workers, neighbors and friends of the inhabitants of Vilnius. According to the Office of Migration, over the past few years, the number of highly qualified foreigners who have obtained a residence permit in Lithuania has increased five-fold. Most of them remain in Vilnius. The digital tool is only one that facilitate the integration process fir foreigners in Vilnius. This year, “GoVilnius” together with investors established in the capital, organizes a series of seminars for employees from abroad to acquaint them with the city and consult on various issues related to resettlement. Anyone can register for participation in open seminars.